Home News Shouldn’t motherhood be the greatest prize for Serena and Co? Shouldn’t motherhood be the greatest prize for Serena and Co? When John McEnroe had one of his Wimbledon meltdowns many years ago, the matter was eventually brought to a conclusion by the properly minimal instruction to Mr McEnroe from the presiding authority: ‘Play on.’ The response from the bad boy was an uncomprehending and exasperated: ‘That’s it? Play on?’ To which the calm reply was: ‘That’s it. Play on.’ McEnroe played on. In those days people pretty much did what was asked of them because they subscribed to rules. If rules are felt by enough people to be unfair then they are changed. A rule that a number of women tennis players are trying to change at the moment concerns what happens when one takes time off from the tour to have a baby. Current Women’s Tennis Association policy on maternity leave provides a two-year period for an athlete to return to competition at the ranking she had on the day she stopped playing. While this ranking can be used to enter competitions, it cannot be used for seeding. However Wimbledon mothers want greater rights on their return from maternity leave. Former world number one Victoria Azarenka, recently back on court after giving birth to a son, said players had met to discuss their demands. These are that their tournament seedings should be protected during their time off and that there needs to be greater consideration about the timing of their matches. 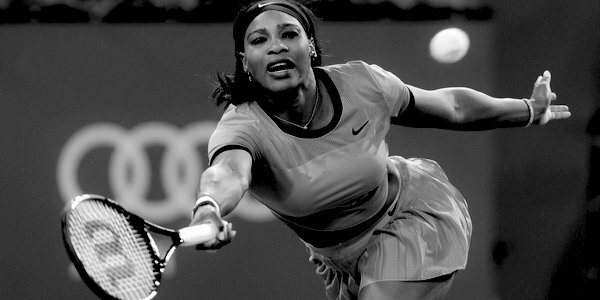 Serena Williams, widely regarded as the greatest female tennis player of all time and mother of a ten-month-old daughter, has been given a Wimbledon seeding for this fortnight’s tournament in spite of the fact that she has played only three tournaments in the last 12 months. Although the All England Club usually follows WTA rankings, it does reserve the right to exercise its own discretion. It has made an exception here because not to have done so with the seven-times champion would have produced an unbalanced draw; in theory the two top players should meet in the final rather than the first round. The trouble is that this decision has worked to the disadvantage of current world number 32 Dominika Cibulkova, who has been pushed out of the seedings. The Slovakian felt the decision was unfair and said she had the right to be seeded. Similarly, the Wimbledon move was criticised by French player Alize Cornet, who said she was respectful of the achievement of Williams but was against other hard-working players being penalised. She added that Williams’s strength as a player would still have been likely to get her to the fourth round. The tour is an expensive and exclusive club available only to an elite. Struggling young players need to make at least £50,000 a year just to keep themselves in the shallows, perhaps with the odd wild card to a more lucrative tournament somewhere in the world they can reach via a cheap flight. Players who are good enough to make it to the top, earning tens of millions of dollars, may want to protect their special status for as long as possible (to be fair to Williams, she was apparently unconcerned about a seeding), but it will come at a price for other players. And some of those other players may well be ones who choose not to have children at a particular time of their lives because, even with even more generous concessions and flexibility on maternity leave, having a baby changes things. It means having to make sacrifices. This is something that seems increasingly problematic to articulate in polite society. The narrative we are meant to swallow now is that having a baby doesn’t need to change things: a mother can do all she has been up to doing before and probably even better. She just needs support and encouragement to get through that maternity leave and get back in the workplace. The child can be looked after by someone else and stuff can all be taken care of. That’s terrific if you have ‘your people’, looking after everything from your child’s sleeping patterns to your multi-million-dollar sponsorship packages. Talent, wealth, glamour and power. It isn’t a place most people live in, though. Elite athletes earn their mega-money through a combination of effort, the luck of their genes and their opportunities. It’s physical. Like having a baby. Things change after becoming a parent. A woman’s body (tennis player or not) is never the same after she’s had a child. The sacrifices, however, that need to be made on the arrival of a child are worth it, aren’t they? Or is motherhood now so undermined that nobody would dream of letting its essential distractions start causing them a bit of bother with their career status and performance? Doesn’t being a mother make you reassess your worldview and priorities? It should. You never know, there might be the odd failed state tucked away deep in some challenging continent that would love to appoint its first female attache for sports/humanitarian and cultural affairs in the EU. Worth a thought.